Today we're going to dive back in and create a Graceful Glass Desinger Vellum Simple-Elegant II. If you missed Tuesday's design check it out here http://www.sandilovesstamping.com/2018/08/graceful-glass-designer-vellum-simple-elegant.html. Today's card is using a diamond background design that can be cut to any size. Using Stampin'Up! 's Blends (alcohol markers) on the back of the vellum we keep the coloring soft--if you prefer brighter color--use them on the front of the vellum. Did you notice that the card front itself is dry embossed with the Tufted embossing folder--this is the same design as printed on the vellum...isn't Stampin'Up! great with all the coordination of designs and colors! 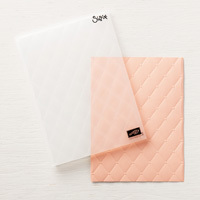 These cards created with the Designer Vellum are so lovely and require such little effort you can easily make over 50 gorgeous cards with a single pack of vellum! I'll give you the card directions and then the list of supplies you'll need to re-create this card. 1. 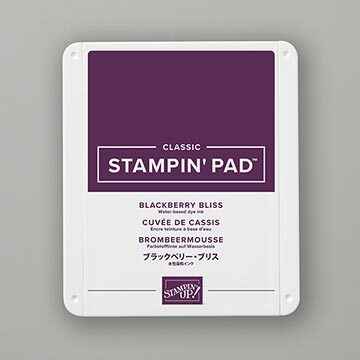 Cut Rich Razzleberry cardstock 4 1/4 X 11, score the long side at 5 1/2 (card base); dry emboss the card front with the Tufted embossing folder. 2. Cut a strip of diamond pattern vellum 5 1/2 X 1 5/8; color the back side with Blends: Dark & Light Old Olive, Dark & Light Rich Razzleberry. 3. 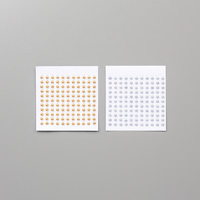 Cut Whisper White cardstock 5 1/2 X 1 5/8, adhere to back of colored vellum with glue dots (hint: put glue dots under colored areas to hide the dots). 4. 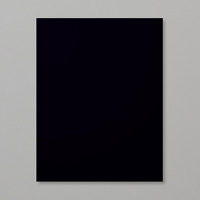 Cut Basic Black cardstock 5 1/2 X 1 3/4; adhere to back of white cardstock with liquid glue; adhere this to card front with glue. 5. 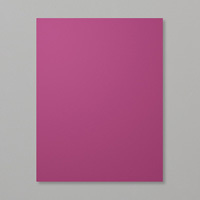 Cut Whisper White cardstock 1 X2 3/4, stamp Have a Beautiful Birthday in Blackberry Bliss ink; cut dovetails in both ends. 6. Cut Sparkle Glimmer paper 2 X 1 1/8; adhere to back of verse with glue dots; use dimensionals to add this to card front. Here's the supply list. Click on the Shop Now button or on one of the images below and you'll be in my store. 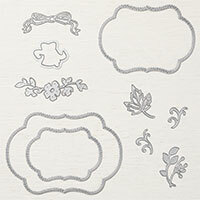 Today we'll design a card with Graceful Glass Designer Vellum -- Simple & Elegant. 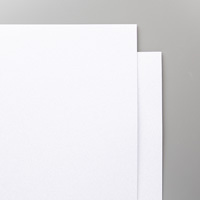 The Designer Vellum is printed with black embossed images that alone are gorgeous, but when you add a bit of color to the underside of the design--becomes "simply elegant." Because the vellum has 12 single-sided designs (you get 2 of each design) there are endless possibiities for creating elegant cards. For today's card I used 1/4 of a sheet (meaning you can get 4 cards from a single sheet of vellum with this design). I used the Blends (alcohol markers) on the back side of the vellum to provide that beautiful hint of color (you can color the front and get a bit more vivid color). I layer a piece of white cardstock under the vellum to give it that sharp contrast but you can mellow it down by leaving the vellum un-backed for a very soft effect. I'll give you the directions to create this quick and easy card followed by the supply list so you can purchase your supplies to re-create this lovely card. Remember. during August you will receive a $5 coupon from Stampin'Up! (for redemption in September) for each $50 in product that you purchase. Make sure Stampin'Up! has your most current email address. 3. Cut strip of vellum from Designer paper (see photo for selection), trim top and bottom to make strip 5 1/2 long; color back of vellum with the following Blends: Calypso Coral Light, Old Olive Dark, Pool Party Dark. 4. Cut Whisper White cardstock 1 5/8 X 5 1/2; adhere vellum with glue dots (hint: place glue dots behind the colored flowers to avoid seeing these through the vellum. 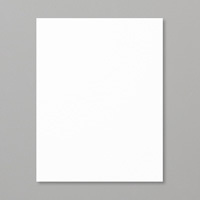 Cut black cardstock 1 3/4 X 5 1/2--adhere to back of white cardstock with liquid glue. Adhere this unit to card front next to the verse. Tuesday we created a No Cut card and today we're going to create Another No Cut Beautiful Card. 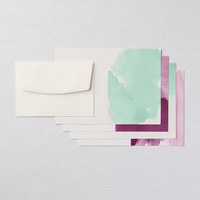 Again we are using the Delightfully Detailed Notecards & Envelopes as our base--this means that beautiful watercolor background is already done---everytime it turns out beautiful because it's printed on the notecard for you. So the hard part is completed and all you have to do is stamp. 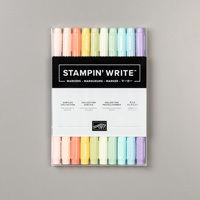 We're continuing to use the Blended Colors stamp set that is part of the exclusive limited edition bundle that is only availabel in August--or as long as supplies last---and since we are approaching the end of the month--my recommendation is to NOT wait....order now! 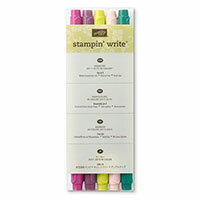 In addition to the bundle Stampin'Up! 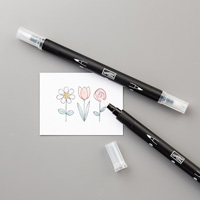 is offering a second set of Water color pencils...these may be available in the future but we are not sure at this point. I"ll give you the directions for creating this stunning card followed by the brief list of Supplies. *Blended Seasons stamps and thinlets are ONLY available in August--after August you will not be able to purchase them--in fact they are only available while supplies last. *Holiday Mini Catalogs are in the mailboxes...if you don't have a demonstrator and would like one, please contact me--410 836 8016 or email: sandihartka@sandilovesstamping.com and I'd love to get one in your hands. *Please sign up for my Email List and you'll be kept up to date on new products, sales, new catalogs, scheduled, and more---just click on the Sign up button and you'll be all set. 1. Stamp the leaf design (Blended Seasons stamp set) in the left side of the Blackberry Bliss colored notecard; color the leaves with Wink of Stella. 2. 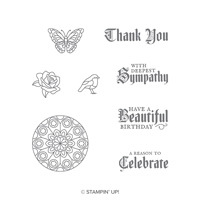 Stamp Thank you in Stazon Jet Black (Blended Seasons stamp set) on the right side. 3. 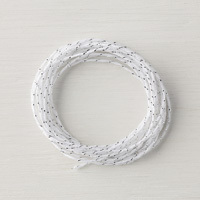 Tie a 10" piece of white/silver twine around the card front in a bow. Here is the supply list--click on the Shop Now button and you'll be in my store--place your order now! See the fading Pool Party coloring in the background--that's already on the notecard...you're ready to stamp! We're using the flowers and verse from Stampin'Up! 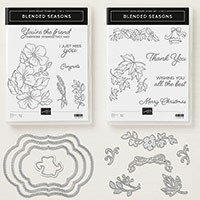 's Blended Seasons stamp set...this gorgeous set is only available to purchase in August...after August you won't be able to purchase it. *Please sign up for my Email list and you'll be kept up to day on sales, new products, new catalogs, class schedules and tons more--just click on the button and fill in the info--you're all set! 3. 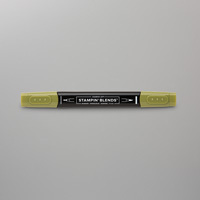 Stamp "Wishing You all the best" in Stazon Jet Black ink. Your card is ready for sending....it just doesn't get easier or more fun that that! Keeping with the design on Tuesday we're creating Another Simple Blended Season. This one feature the single-stem of leaves which shows how super versatile this set can be. Using the leaf stem creates your focal point and gives you a whole new look. *We are having a class in my studio August 26th, 1PM to create 3 more card designs (3 of each) using this bundle, sign up for that now. Note--if you can't come to class you can just order the card packets--you will have the stamps and framelits if you order the bundle. (Reservations required: Fee $25). Call 410 836 8016 or email: sandihartka@sandilovesstamping.com. 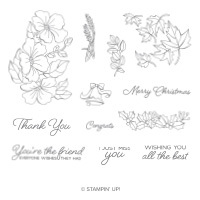 Note: the new Holiday Mini Catalog is on it's way to our stampers---if you don't have a demonstrator and you'd like to get a copy of this new mini---contact me at sandihartka@sandilovesstamping.com or 410 836 8016 and I'd love to get a copy in your hands. 1. 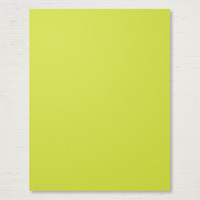 Cut Lemon Lime Twist cardstock 8 1/2 X 5 1/2, score the long side at 4 1/4 (card base). 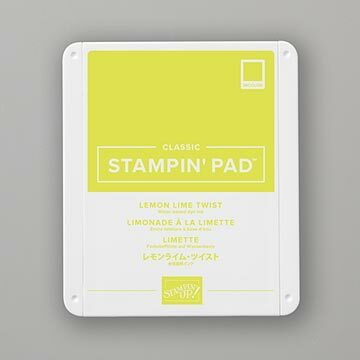 Stamp the flower image in Lemon Lime Twist ink randomly over card front. 2. Cut Very Vanilla cardstock 5 1/2 X 2; stamp single leaf stem in Stazon Jet Black in; color with Lemon Lime Twist Stampin'Write marker. Add Wink of Stella to the leaves. 3. 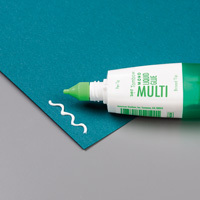 Cut Garden Green cardstock 2 1/8 X 5 1/2; adhere above stamped cardstock to Garden cardstock with liquid glue. 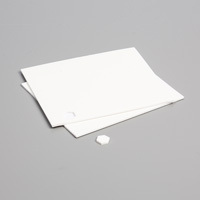 Adhere this unit to card front with liquid glue. 4. 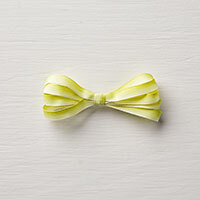 Cut 16" Lemon Lime Ombre ribbon; tie around stamped image in a knot. 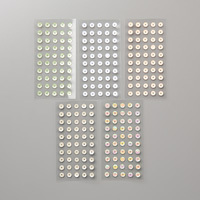 Adhere 3 Basic Adhesive-backed sequins. 5. Stamp "Thank You" in Stazon Jet Black ink under stamped image on the right side. I've had so much fun with this set so we're continuing with Simply Blended Seasons. Last week we created 2 cards with a simple design. I'm bringing that same design to this week's cards to show how a simple moving of the greeting below the focal point creates new fresh look! This set's versatility covers all the seasons & multiple greetings...a super set to meet most card-giving occasions. The Blended Seasons Bundle is only available during August--after August you will not be able to purchase it---it's for a limited time only. 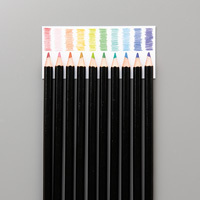 There is also a new set of Watercolor pencils (not part of the bundle) that are new colors (these may be offered in a future publication). 1. 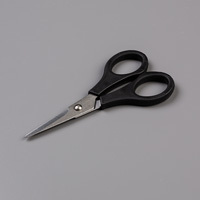 Cut Crushed Currey cardstock 8 1/2 X 5 1/2, score long side at 4 1/4 (card base). Stamp leaf design randomly in Crushed Curry ink on card front. 2. Cut 2 1/4 X 5 1/2 Very Vanilla cardstock; stamp wheat image in Stazon Jet Black ink. 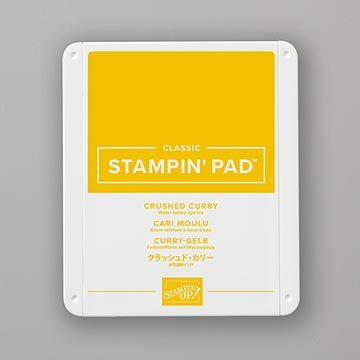 Color wheat with Crushed Curry and Old Olive Stampin'Write markers. Add Wink of Stella to the wheat head. Adhere 3 gold Metallic pearls. 3. 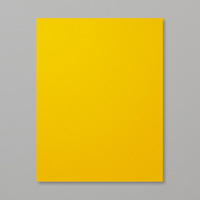 Cut 2 3/8 X 5 1/2 Soft Suede cardstock, adhere the stamped cardstock above to the Suede with liquid glue; adhere this unit to the card front with liquid glue..
4. 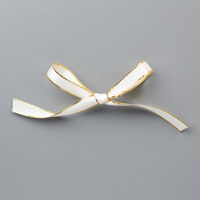 Cut 16" gold edged satin ribbon around this unit & card front, tie in a knot. 5. Stamp 'Thank You' in Stazon Jet Black in below the wheat on the right side of the card front. Using Tuesday's base design today we're creating a Simple Simple Simple #2 Blended Seasons Card. Today we're using the same design template as Tuesday but using the flower from the Blended Seasons stamp set--I used the paper snips to trim this out. I use the separate leaf stamp for the stamping around the focal point and colored all with the new Assortment 2 Watercolor Pencils blended with the Blender Pens...quick, fun, & easy coloring! 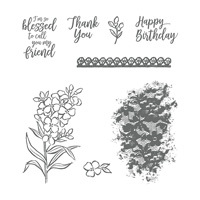 Note: Here's Tuesday's link if you missed it http://www.sandilovesstamping.com/2018/08/simple-simple-simple-2-blended-seasons-card.html). *We are having a class in my studio August 26th, 1PM to create 3 more card designs (3 of each) using the awesome bundle, so sign up for that now - only 10 spaces open. Note--if you can't come to class you can just order the card packets--you will have the stamps and framelits if you order the bundle. (Reservations required: Fee $25). Call 410 836 8016 or email: sandihartka@sandilovesstamping.com. 1. Cut Lovely Lipstick cardstock 8 1/2 X 5 1/2, score the long side at 4 1/4. (cardbase) Stamp the flower image (Blended Seasons stamp set) in Lovely Lipstick ink randomly over the card front. 2. Stamp the flower image in Stazon black ink on scrap Simmery White cardstock. Color center flower/leaves with Cherry Cobbler & Granny Apple Green watercolor pencils; blend color with Blender pens. Cut out colored image with paper snips. 3. 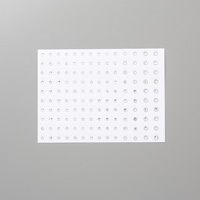 Cut 2 X 5 1/2 Shimmery White cardstock. Stamp verse (Blended Seasons stamp set) in Stazon Black ink. Attach above flower to the left with dimensionals. 4. Stamp leaf image in Stazon black in around the verse and attached flower; color with Granny Apple Green watercolor pencils; blend with Blender pens. Adhere 3 small rhinestones. 5. Cut Basic Black cardstock 5 1/2 X 2 1/8; adhere stamped cardstock to this with liquid glue; attach this unit to the card front with liquid glue. Today we'll create a Simple Simple Simple Blended Seasons card! It's that totally awesome new stamp set that Stampin'Up! available only during August. 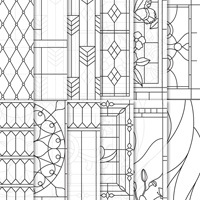 There's a fantastic coordinating set of framelits (get both - bundle saves 10%). They are only available in August AND as long as supplies last. I'm assuming Stampin'Up! planned well, but we have seen supplies do not always meet the super demand of some of these terrifically popular products. So my tip to you is order soon! Here's today's card---this card (and the bundle) are designed to span the seasons meaning there is something in there for any season and any occasion--those bundles are wonderful to have on hand when you need something quick and easy. We've used only one stamp from the set as the background & as the focal point in the middle band. You can substitute any of your favorite colors! The directions are below followed by the Supply List. Use the Shop Now button or click on one of the product images & order your supplies from by store now while we have sufficient supplies. 2. Cut Shimmery White cardstock 2 X 5 1/2. Stamp "Wishing you all the best" (Blended Seasons stamp set) in Stazon Jet Black ink on the right side. Stamp the leaf images around the verse in black ink. Color these images with Watercolor pencils (Granny Apple Green and Garden Green). I blended both of these on the darker leaves to give the Garden a bit more yellow. Blend the color with Blender pens. Apply Wink of Stella on the lighter green leaves. 3. Cut Granny Apple Green cardstock 5 1/2 X 2 1/4. Adhere to the back of the Shimmery strip with liquid glue; adhere this unit to the center of the cardbase with liquid glue. Your card is ready for sending---it was simple, right? Here is the supply list...use the Shop Now button or click on one of the images below and you'll be in my store. 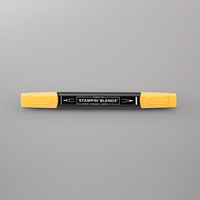 Order your supplies now while supplies last. One of Sandi's Stampers, Jackie Silvestri, has also contributed another "neat" idea. Do you ever have to chase your rolls of Washi tape around the drawer or have to dig through a container to find the right design? Let's l0ok at Jackie's method of storing our Washi Tape...Jackie has taken jewelry storage bags--the kind that hang you your door--thus not requiring additional wall or shelf space. She has deposited the Washi Tape in each of the pockets. Since the pockets are clear--there's no need to actually label the pockets but you can tear a piece of the tape and stick it on the pocket for very quick identification of the patterns. 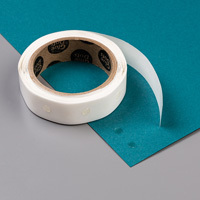 This keeps your drawers tidy--no rolls of tape running around or on the counter top....this is a quick set up and you can easily identify which pocket to which to return the tape when you are finished using it by just matching the piece of like tape on the pocket. 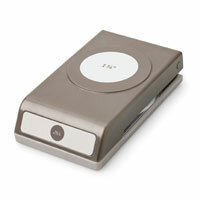 Now she also provided a bonus idea for us....if you are like me you have quite a number of hand-held punches. Sometimes I forget exactly which shapes are current or which tag punch will be quite the right size. Jackie has taken a piece of cardstock and punched each of her punches creating templates. 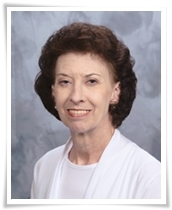 She slips these into clear baseball card holders and hooks these onto a large key ring. Not only does this provide a great catalog of punches but you can take these "cut outs" and hold them over a stamped image to see if that punch will fit your image. For example, stamp the "Thank You" on a piece of cardstock and then hold the templates over the stamped image to see which one fits best. Two great ideas today and we want to say a BIG thank you to Jackie for sharing her ideas and storage solutions. 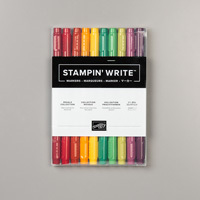 Before we go, just a reminder that if you place an online order through my store and use this month's host code (click on the Rewards button for this month's code) you will receive $5 in Stampin'Up! product (my choice) for each $50 in product that you purchase.